Summertime is here and it is the Season to look and feel your best! With so many Beauty Products on the market it can be difficult choosing which product is best for you. Our best advice is steer clear from any products that are not made from Natural Ingredients! Our skin absorbs every thing we put on it. Unfortunately, most commonly bought Beauty products contain quite harsh chemicals. Once the skin absorbs these, it can be hard to rid. These chemicals can then go on to cause clogged pores, skin irritations, premature aging and much more. 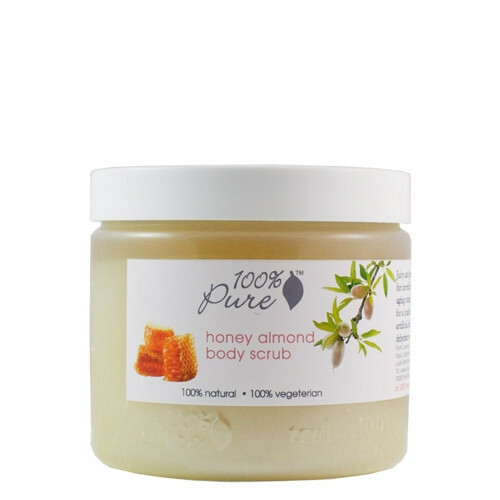 With that being said We would like to introduce you to 100percentpure Cosmetics. Styleceleb had the opportunity to review some products from the Organic line and we were very happy with the results! All opinions expressed herein are my own and not those of the company If Products or Collections do not fit our overall lifestyle and blog esthetics we will not post reviews on Styleceleb.com. With that being said we bring you this review because we were genuinely interested in trying these Products out and sharing our experience with all of you. Enjoy! Smoothes away bumps and flakes for incredibly soft skin. Fruit Oils deeply moisturize while anti-aging vitamins and antioxidants nourish. Fruit Acids brighten gently for a healthy glow. Organic rosehip and apricot oils deeply moisturize and nourish. No Harsh Ingredients, no synthetic chemicals, no artificial fragrances or any other toxins that can strip, irritate or dehydrate your delicate skin. How To Use: Apply to wet skin, rubbing in circular motions and paying extra attention to rough areas of skin like elbows and knees. Rinse thoroughly. Repeat every other day. Why We LOVE it: Instant skin Healer! I used this scrub on my worst problem areas ( Knees & Elbows) in few weeks my skin was lighter and much smoother!! acai oil, pomegranate oil and vitamins. UVB (ultra violet burning) rays while antioxidants protect your skin from other environmental hazards such as pollution, smog, smoke, exhaust, etc. Why we LOVE it: Great for Acne Prone Skin! Product does not cause you to break out, its natural ingredients are a gift to anyones skin! Dot cream around your eyes. With your ring finger gently pat around the eye area. Why we LOVE it: INSTANT LIFESAVER for puffy eyes! A huge thank you to the PR at 100percentpure Cosmetics for their generosity! I hope you guys enjoyed the post and learned of a product that can potentially serve and meet your Beauty needs.